It's Halloween again and our thoughts turn to scary things. Ghosts. Witches. Ghouls. Teenagers. Public speaking. I'd be lying if I said this time of year gets me excited. I'm afraid Halloween just doesn't stir my imagination. It's all a bit too Scrappy Doo for me. Skeletons and werewolves leave me unmoved. Bats seriously aren't frightening at all (they're cute!) and don't get me started on silly old zombies. Which makes it all the more surprising that my ﬁrst picture book was about vampires. Elsie Clarke And The Vampire Hairdresser was quite a few years in the making. It was inspired by a joke. Well, not really a joke, more like a humorous birthday card illustration type of thing. 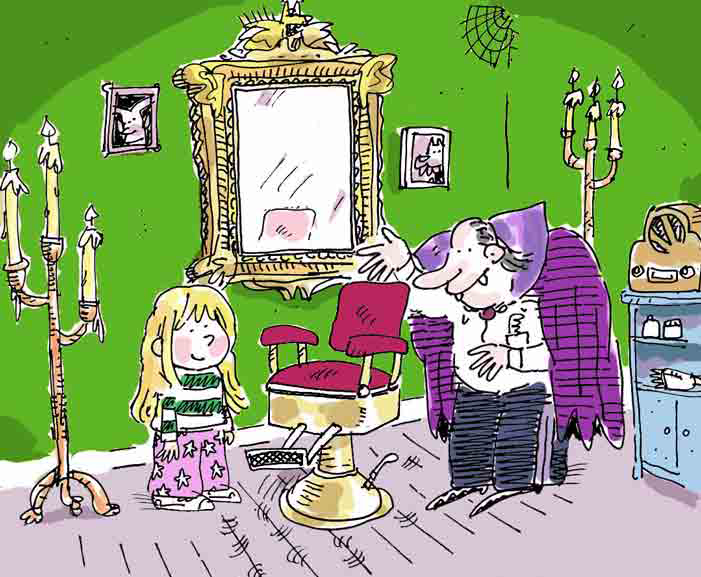 I’d drawn someone getting their hair cut by a vampire barber. 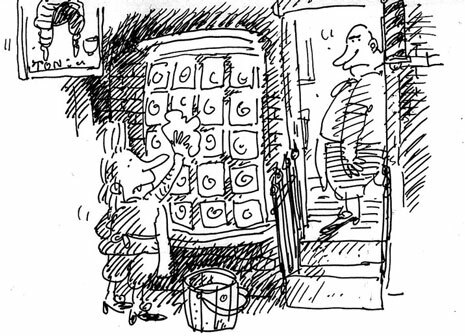 The customer can only see himself in the mirror – the scissors and comb ﬂoat above his head. 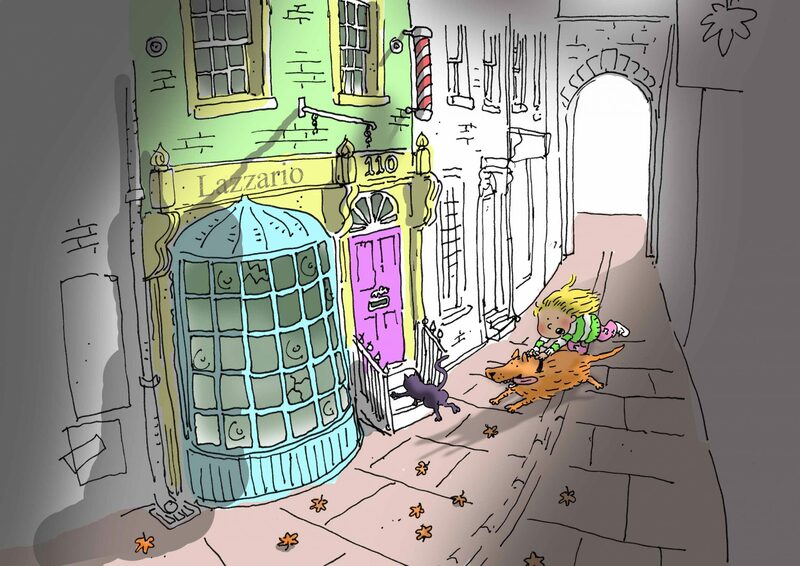 I’d always had ambitions to write and illustrate a picture book – maybe this barber could be a fun character to build a story around? Perhaps a little girl could visit him and he could tell her how a vampire ended up cutting people’s hair instead of marauding through the darkness thirsty for human blood. Things began promisingly but then gradually got out of hand: The little girl (who I’d decided to call Chloe) hated going to the hairdressers that her mum usually sent her to. This place was run by Mrs Littlebottom who was very horrible and snappy with children. I had her character as a quite a big part in the story. There was a whole section with Mrs L, ﬁnishing with her washing Chloe’s hair in the sink. Chloe loved having long hair so that was another reason she hated haircuts. 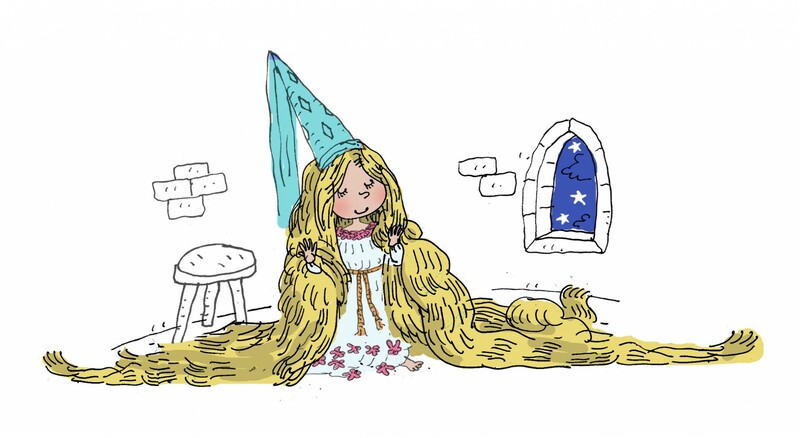 Chloe (Elsie) dreams of having extremely long hair. Oh, and Chloe had a dog too. He was called Douglas (I might just use that name again). 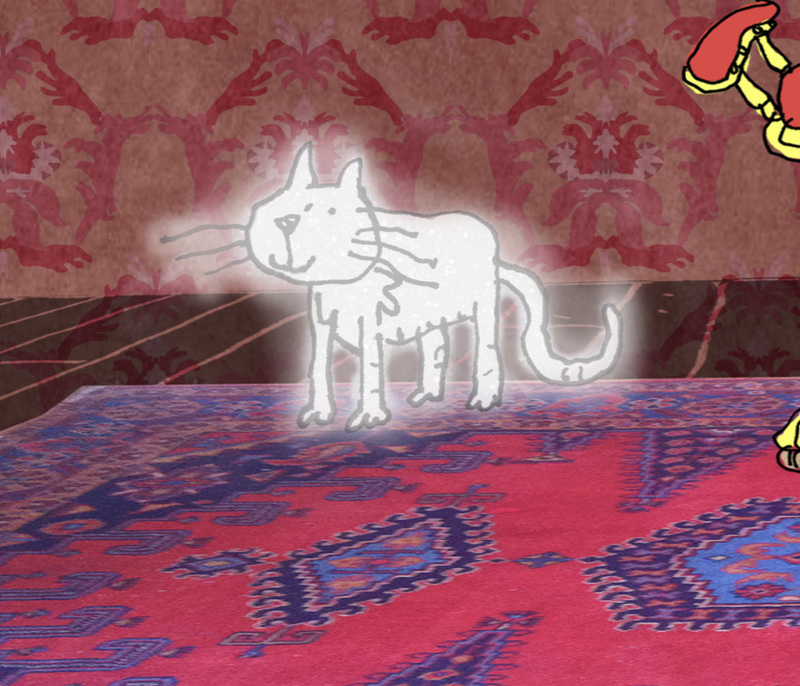 Anyway, Douglas chases a cat, Jasper (who turns out to be a ghost), into the vampire barbershop. Then, once Chloe had met the vampire barber and he’d told her how he was a disappointment to his father, she looks through the window and realises they’ve gone back in time to the 18th century. I’m struggling to remember the reason for this. It was probably because I wanted to do a load of characters dressed in Georgian outﬁts. Look at the big noses I used to give everyone. Then the King turns up with the queen’s wig – he’d sat on it and it needed mending urgently. So the vampire turns into a bat and does some magic on the wig and it’s as good as new again. Then, the vampire’s dad appears and chases everyone. 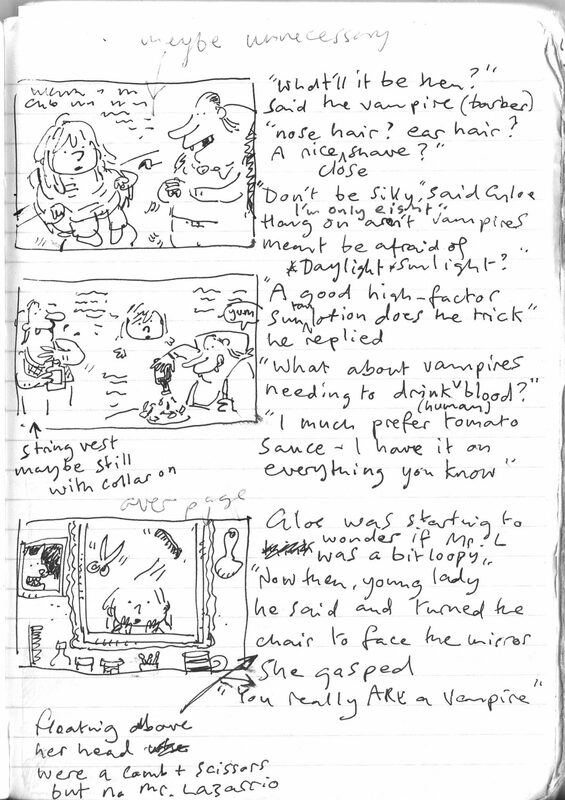 Then Elsie (I decided Elsie was a better name than Chloe) gets the vampire to cut her hair – and his dad’s hair – to show how talented he is and it’s all happy in the end. Elsie and her dog ﬂy away magically back to the 21st century. Her new hairstyle frightens Mrs Littlebottom in the street. Somewhere in the middle of working all this out, I decided my story would be in rhyme because the best children’s books are, right? Confused? I stuck with the rhyming text through almost all the changes. Once I began to properly look at published picture books, I realised this was just all too complicated. The ﬁrst two things I changed were the time travelling idea and the age of the barber. There would be no magic trip to the 1700s and the vampire barber was now a boy! Despite this, there was a lot more still to put right. Apprentice Boris. Another idea that was cut. I like the older vampire barber but I’m glad I changed Elsie’s outﬁt. But at least there was progress being made with the artwork. I was starting to develop a way of drawing that was more suited to children’s illustration and less my normal ‘editorial’ cartoon style. I’d spent the years previous to this submitting single frame jokes to magazines and the look of my illustrations showed this inﬂuence. There was still a long way to go with the art side of things (it’s still evolving, hopefully, even now) but it made me realise that you need to put in a huge load of work if you want to improve. Elsie and Douglas the dog chase Jasper the cat. During this process I had invaluable advice from two people: Ellie Powling of Speaking of Books (who rightly suggested I jettison half my characters) and the children’s illustrator Paul Howard (who said I really needed to think again about the shape and message of my story). Another thing that Ellie mentioned was how rhyming text wasn’t always a good option. To an editor, it can limit the scope of a book’s potential. So I changed over to prose.  The story now had a simpler but hopefully more effective shape. Elsie Clarke was just downright scared of getting haircuts. Her parents despair until her dad suggests she visit his barber. Dad gives her a business card that shows this hairdresser is a strangely dressed boy – Boris Lazzario. Elsie is intrigued and her curiosity overrides her fear. 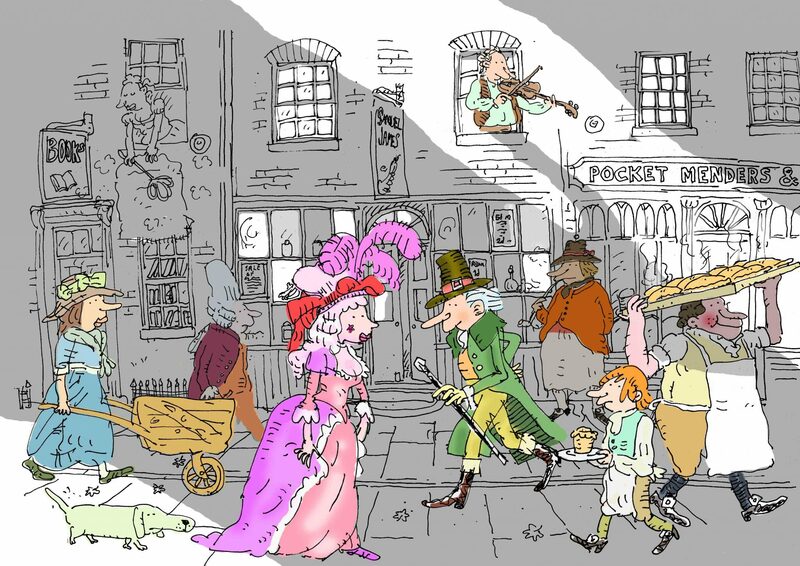 Mrs Littlebottom was gone – as was Douglas the dog. The King and his wig went with the time travel scenario. There was also a part where the boy Boris is an apprentice to a Georgian barber. This too was cut. Jasper survived. Hurray! It was this much edited, slashed, depopulated and rethought version that Isy Atherton ﬁrst saw four years ago when I emailed her a PDF copy of Elsie Clarke And The Vampire Hairdresser. I knew it wasn’t a masterpiece but I hoped there were elements in the book that would make Isy want to take it on. To my utter delight she loved it and within weeks there was an offer from Julie Matysik at Skyhorse Publishing in New York. What this vampire story did was give me an ‘in’ into the world of children’s books. It got me a fantastic agent and invaluable experience in the putting together of a book once it’s been taken on by a publishing house. 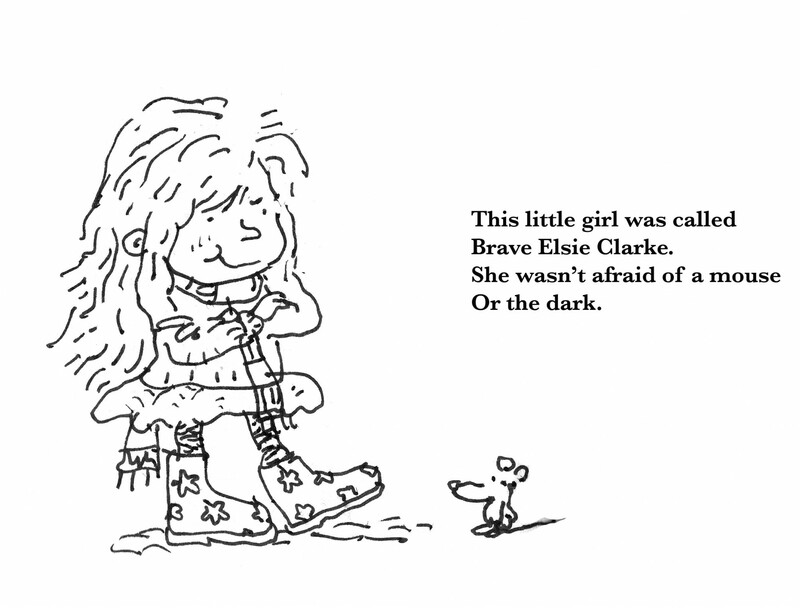 I’d learnt a lot from writing and illustrating Elsie Clarke but this was just the beginning of a process that continues to this day. I’m still learning. 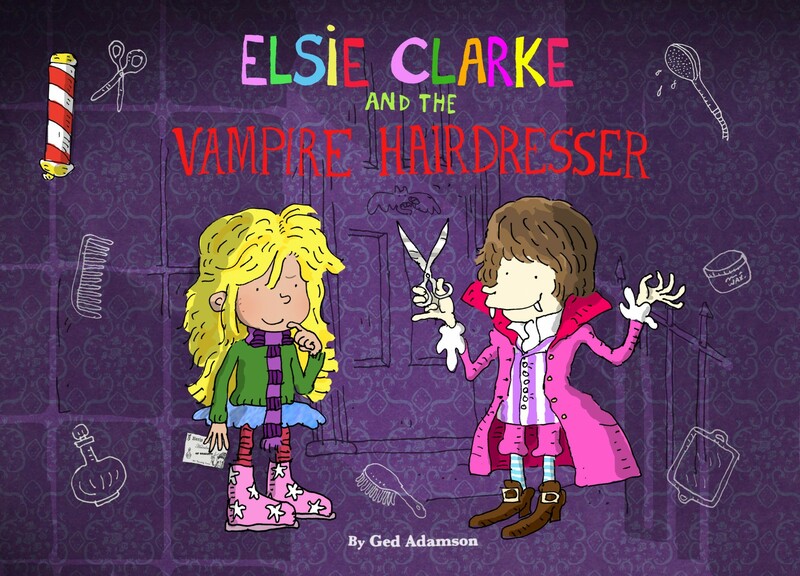 I’m incredibly lucky that picture books is now my job but I’ll always have a big soft spot for Elsie Clarke And The Vampire Hairdresser. You can buy a copy of Elsie Clarke and the Vampire Hairdresser from bookstores and online.